Panagiota Kloukina is a senior associate at Calavros Law Firm - Filios - Babiniotis - Kloukinas since 2008. She joined the Firm as a trainee lawyer in 2004. Mrs. Kloukina focuses her practice on civil and commercial litigation and is well experienced in handling tenant and labour law disputes. She also represents clients from the oil industry before the Greek courts, especially in matters of debt collection. Mrs. Kloukina is active in the field of competition law, as well, mainly at antitrust counseling level. 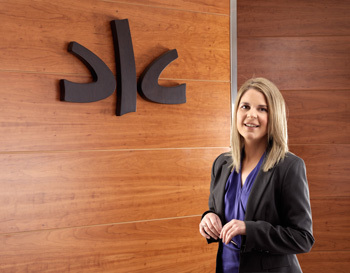 She deals with banking and insolvency matters, both at consultation and litigation level. She is also involved in pharmaceuticals related matters, dealing mainly with recovering hospital debts as well as regulatory issues.